Heavy rain in the Yorkshire Dales has left many routes flooded. The Cave Rescue Organisation had this advice for anyone considering the Three Peaks Challenge: don’t! A section of the 39km (24-mile) route between Pen-y-ghent and Ribblehead is under water. The team reposted on Facebook a video of walkers battling through the floodwater. 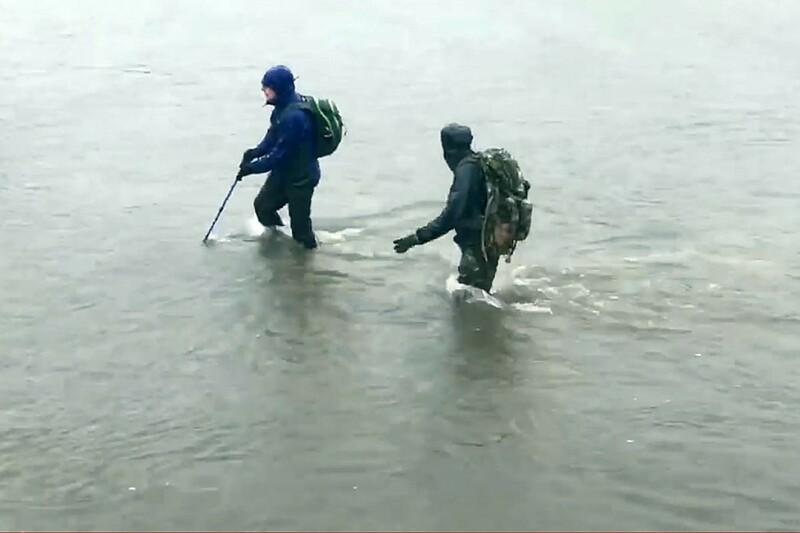 The team said: “Anybody, individuals or organisations, doing the Three Peaks today – the track over the meadows at Nether Lodge is submerged with fast-flowing water from the River Ribble. “With continuing rainfall today, this will only get worse. “You are strongly advised not to cross fast flowing floodwater. If you’re doing the Three Peaks today; don’t! ?? Why not just turn back, the mind boggles!! Should call Ian, the local taxi service. Saviour of 5 lost souls.